Today, more than ever, it’s imperative to provide your employees with solutions that are convenient and help improve their overall work experience. UltiPro® delivers HR, payroll, and talent management capabilities in one, unified cloud solution backed by powerful analytics. And UltiPro’s smart dashboard offers a centralized, human resources portal solution that makes it easy to access the information and tools your people need to work more efficiently. UltiPro’s HR portal solution offers a central gateway to important workforce and business resources. It seamlessly connects your people with the information and resources they need. 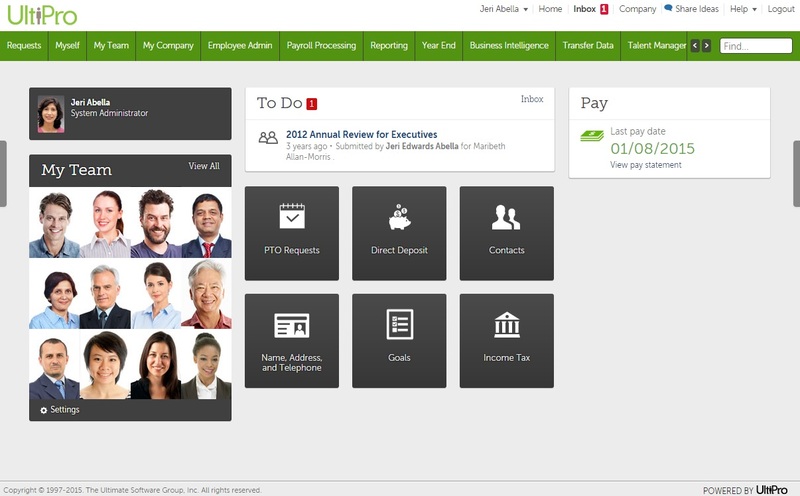 Organizations can brand their HR portal solution and employees can personalize their experience.